Purina Natural Plus Vitamins and Minerals is the best! Cat won't stop eating this. If Toby eats it any cat will eat it! Our Furry Human Thanks You! They even love the empty bag! 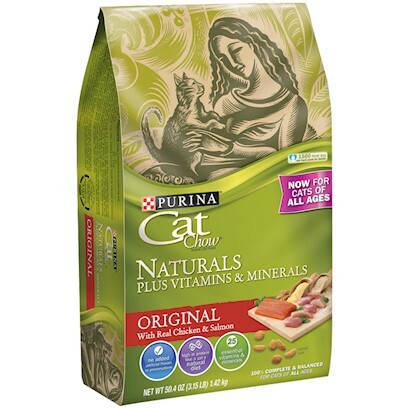 My cats love this dry cat food! Cats & i both like!